If you like speed this game is for you! Participate in the challenging Jet Bike's race in the World Championship. Prove that your are the best and fastest. Navigate your jet bike between the buoys following stated course. The course is indicated by numbers you have to follow the numbers order. You have limit of time to complete the lap. If you finish in time you are qualified for the next course. There are five courses in each championship. If you get out of course or don't finish lap in time you lose. Have fun and win the race! Game is free to download and play! 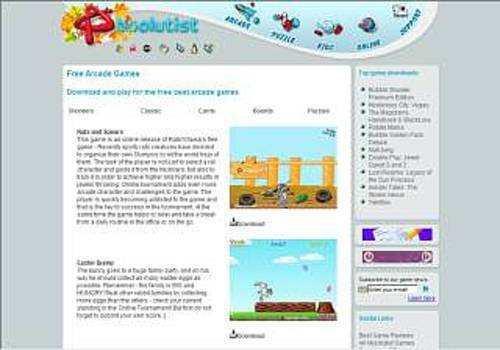 Absolutist.com's Game World! All you need is Flash 7 player and some desire to play.